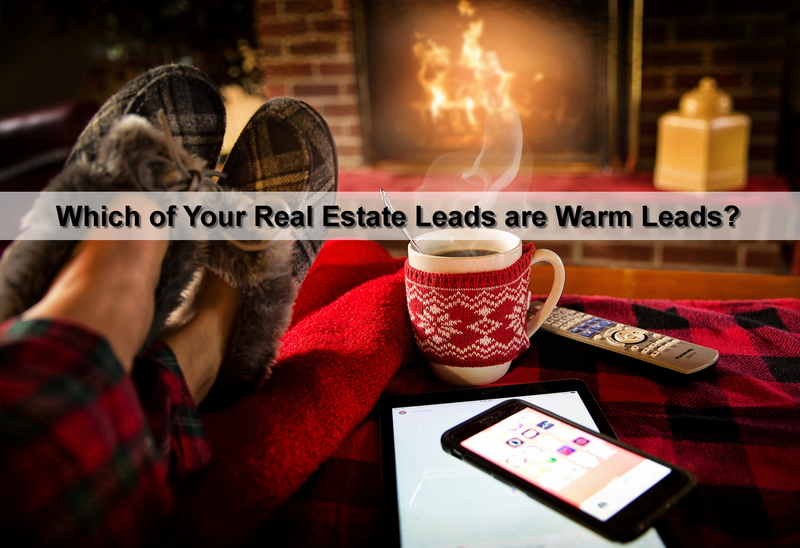 Which of Your Real Estate Leads are Warm Leads? How Warm ARE Your Real Estate Lead? It's not the worst thing in the world to ask for information that a real estate leads says they have already given you. However, it is definitely a better idea to be more prepared before calling a lead. It would be very helpful to know where that lead is in the home buying or home selling process. Did they sign up on your site and not come back? Did they look at many different neighborhoods across the city? Did they look at 5 different listings within the same zip code? If your lead management system gives you this information (which it really should if you are in real estate) this will give you vital information on who to pay attention to. Did you lead come to your site and not come back? Most CRMs should be able to tell you your lead's search activity. Many people will do one home search and never return. Thus is the nature of the internet in the real estate industry. This lead might have multiple websites open simulataneously, and do multiple searches. They are not ready commit to an agent yet, it is okay. Let your drip marketing do the nurturing from here. Did your lead look at a few different neighborhoods or school districts? This is fantastic! They are not ready to buy a home just yet, they are still deciding where they want to live. This may be a good opportunity to reach out to them via phone or email and get to know their needs. Show them you are the local area expert. Some leads may be looking to move into a home with a great school district, some may be wanting to move because of a new career opportunity, or some may be looking for their first home. Did they look at multiple listings within the same zip code or area? This buyer lead is getting warmer! They have their searching efforts focused on a specific area, because they have decided this is where they want to live to next. Take a look at all the listings they have viewed or favorited. You might notice a pattern. Take that pattern you see (such as 2 bedroom homes under $400k) and send them listings that match that criteria! They will be more likely to read the email and work with you! Online leads take longer to close than other sales leads. For such an expensive and important purchase, they will want to be comfortable with their real estate agent. Warm them up with regular touches through email and social media. PropertyPulse will even post new homes listed on your MLS onto your Facebook business page to entice your fans to visit your website and become warmer leads. Want to see what PropertyPulse is like? Sign up for a free trial below!